Most of the coverage of President Obama’s interview on “60 Minutes” focused on his body language (glum, weary) or his message about legislative compromise (open to some, within reason). The part that got my attention was his discussion of government and whether, under his administration, it had gotten too big. While defending the component parts of his agenda, Obama acknowledged that opponents “were able to paint my governing philosophy as a classic, traditional, big government liberal. And that's not something that the American people want." No, it’s not. And, as my colleague Jonathan Chait has pointed out many times, it’s not exactly what liberals want, either. For conservatives, smaller government is an end in itself. For liberals, bigger government is more a means to other ends, like policing the banks or making health care available to everybody. If a market works fine on its own, liberals are happy not to meddle with it. But sometimes addressing our society's needs really does require increasing the role and size of government. There is just no getting around that. You can ask private employers to pay everybody a decent wage, but it won't happen unless the government establishes and enforces a minimum. You can reduce carbon in the atmosphere by asking corporations to buy and sell the right to pollute, but first government has to create the permits and the rules for trading them. And so on. What worries me about Obama’s "60 Minutes" interview, which was consistent with his recent rhetoric, is that it ceded too much ground to the conservative critique of government. 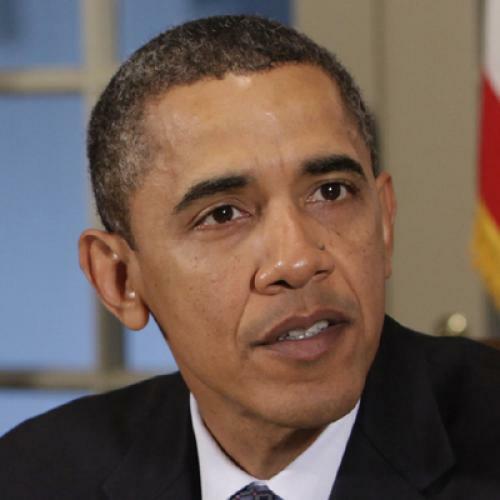 Obama stated that his unpopular initiatives were necessary. But he also made clear he, too, wanted to make government leaner. He didn't say the "era of big government is over," as Bill Clinton once famously did. But he also didn't say that sometimes government serves a vital role, as champion and protector of the everyday American. OBAMA: If you tick off that list [of initiatives], then people will say, "These are all good ideas." But I think that what happened over the course of two years was that we had to take a series of big, emergency steps quickly. And most of them in the first six months of my administration. Each of them had a big price tag. You got intervention in the banks. You've got the auto bailout. You've got a stimulus package. Each one with a lot of zeroes behind it. And people looked at that and they said, "Boy, this feels as if there's a huge expansion of government." And . . .
OBAMA: What I didn't effectively, I think, drive home, because we were in such a rush to get this stuff done, is that we were taking these steps not because of some theory that we wanted to expand government. It was because we had an emergency situation and we wanted to make sure the economy didn't go off a cliff. The last thing I would have liked to do as an incoming President is figure out how to save GM and Chrysler from bankruptcy. That wasn't on my list of to-dos when I was running for office. But necessity created circumstances in which I think the Republicans were able to paint my governing philosophy as a classic, traditional, big government liberal. And that's not something that the American people want. I mean, you know, particularly independents in this country. But I think most Democrats and Republicans, they want a government that works, but they want one that's lean. One that's not wasting money. One that is looking after their interests, but isn't engaged in a whole bunch of giveaways. And I think the Republicans were successful in creating a picture of the Obama Administration as one that was contrary to those commonsense, Main Street values about the size of government. And so, it I think it is fair to say that, you know, the American people don't want to see some massive expansion of government. And I think the good thing is that having gotten through this emergency, I think what people will see over the next two years is probably a better reflection of the kinds of long term priorities that I want to set for the country. I know Americans say the government is getting too big. But sometimes we need government. If the federal government hadn’t spent money to build public works and keep the states from going bankrupt, if it hadn't stepped in and saved the auto industry, we’d be in the next Great Depression right now. If the government doesn’t force insurance companies to act differently, millions of Americans won’t have insurance and millions more will have insurance that covers too little for too much money. If the government doesn’t get tough with the banks, they’ll keep ripping off consumers and get us into yet another financial calamity, just like they did before we took office. Government can be wasteful and inefficient, just like the private sector, and we need to be vigilant about that. We can't be wasting the taxpayers' money, whether it's on giveaways or programs that just don't work. But we still need government to look out for our interests. Now, I’m not a political strategist, as perhaps that imaginary little soliloquy reveals. And I take seriously the argument, from my friends who are political strategists, that defending government so explicitly, at this particular moment, would invite strong political repercussions. Too many voters would hear that rhetoric and take it as confirmation that Democrats aren't listening to them. They'd simply tune out, making it impossible to reach them. The only way to build confidence in government, this argument goes, is to enact programs that actually work and let the public come around on its own. Maybe the strategists are right. And maybe Obama is right to listen to them, if that's indeed what he's doing. I honestly don't know. But I don't operate within the same political constraints as elected officials, so I can say what I really think: A bigger government is just fine. In fact, at times like these, it's a good idea.